A thousand years ago, the magical crystal cracked and shattered into pieces, creating two new species: the dark and evil Skeksis, who use the power of the crystal to replenish themselves and the wizards, called the Mystics. Raised by the noble wizards, Jen - the last remaining Gelfling - must set out on a dangerous adventure to retrieve the missing shard if he is to restore peace and balance to his beloved planet, Thra. 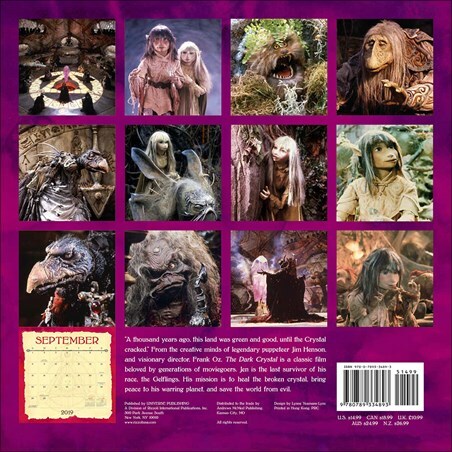 Featuring images from Frank Oz and Jim Henson's 1982 fantasy adventure film, The Dark Crystal, this awesome 2019 calendar is a must have for any lover of this classic puppet movie! 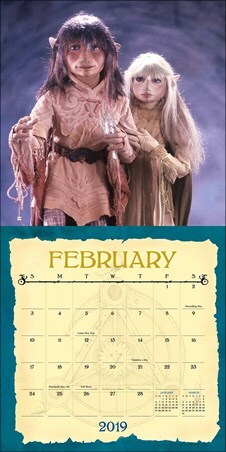 High quality, framed Skeksis and Gelflings, The Dark Crystal wall calendar with a bespoke frame by our custom framing service.